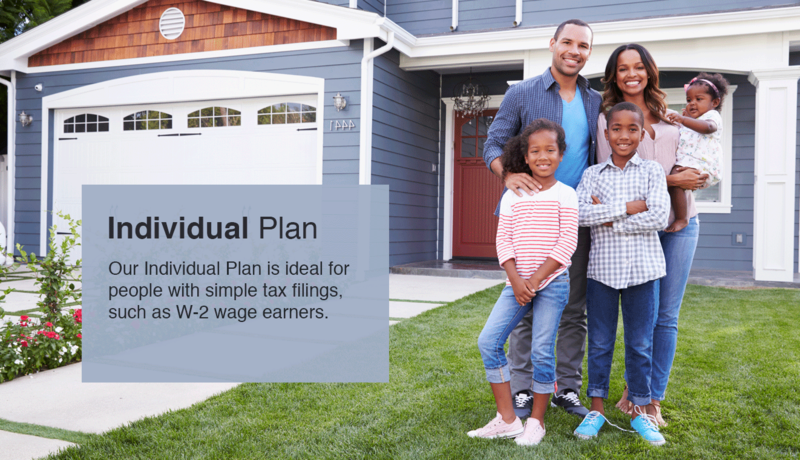 Our Individual Plan provides peace of mind with IRS collection monitoring, tax withholding analysis, and ID theft protection and is ideal for people with simple tax filings, such as W-2 wage earners. The IRS is an incredibly powerful collection agency, with the power to garnish your wages and seize your home. By monitoring your IRS compliance, we can notify you of any pending collection action before you suffer the financial consequences. Are you leaving extra money on the table? A tax withholding analysis ensures that you pay only the minimum amount, and not a penny more. Every day, thousands of people become victims of identity theft and have to spend years untangling the mess. With identity theft protection through the Optima Tax Protection Plan, you and your family are safer and more secure against looming threats. If you have an outstanding balance with the IRS, our team will monitor your tax balance. Through our proprietary technology, we are able to gain access to any changes to your tax balance. This information will be in your monthly report, saving you the hassle of contacting the IRS on your own. A dedicated tax professional will be assigned to your case. One point of contact ensures that you always know where to turn for questions and that nothing falls through the cracks. Our tax preparers and enrolled agents are the best in the business. If a legitimate preparer error is made during the filing of your tax return, you’ll be reimbursed for any expenses incurred up to $2,000. An assigned tax preparer or enrolled agent who specializes in your field will prepare your annual tax return. This will ensure your filing is done accurately while taking into consideration industry-specific deductions. The plan is meant to protect you from IRS collection actions. Should you fall out of compliance, you will qualify for Optima’s industry-leading resolution services at a discounted rate.